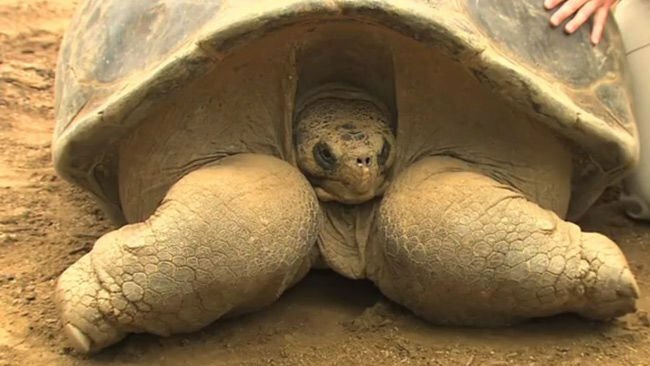 A 150-year-old giant Galapagos tortoise named Speed has been put down at San Diego Zoo in California. Speed had been in geriatric decline for some time. Keepers at the zoo had used acupuncture and hydrotherapy to treat his arthritis and other ailments. Finally, a decision was made on June 19 to euthanize the 670 lb tortoise. Speed had been brought to California in 1933 as part of a program to preserve the endangered species from the Volcan Cerro Azul island of the Galapagos, off Ecuador. Thirteen Galapagos tortoises remain at the zoo. The group has produced more than 90 offspring which can be found in many other zoos. Many of them have been sired by Speed.